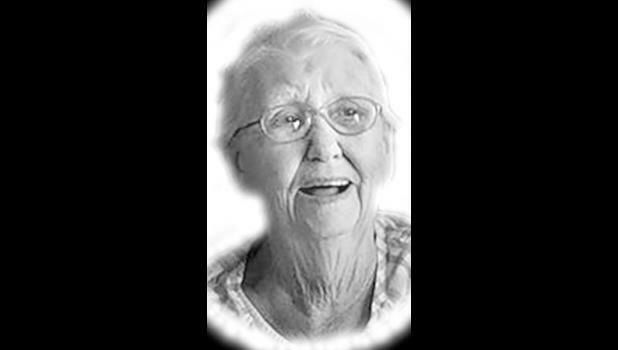 Catherine L. Cormier, 91, Holton, formerly of Soldier, died Wednesday, March 14, 2018, at Medicalodges Jackson County. She was born Nov. 1, 1926, in Bancroft, the daughter of Fred James and Emma Catherine Freel Staehli. She graduated from Wetmore High School in 1944. Ms. Cormier had lived in Texas, Montana, California and France with her husband in his travels with the U.S. Air Force. She returned to the Soldier area and worked for Holton Community Hospital for 35 years as a certified nurse aide and physical therapy assistant, retiring in her 70s. She married Wilson P. Cormier in 1945 at Topeka. They divorced. Survivors include six children, Rodney Cormier and wife Kay, Soldier, Rebecca Hayes and husband Gary, Watertown, N.Y., Bruce Cormier and wife Rhonda, Soldier, Roxane Hayes and Vivian Cormier, both of Holton, and Wade Cormier and wife Cindy, Hoyt; 17 grandchildren; 18 great-grandchildren; and four great-great-grandchildren. She was preceded in death by Wilson; a sister, Cleo A. Hill; and two brothers, Arnold and Carl Staehli. Funeral services will be held at 11 a.m. Tuesday, March 20 at Mercer Funeral Home in Holton. Family will greet friends one hour prior to service time. Burial will follow in Soldier Cemetery. Memorial contributions may be made to the Holton Community Hospital Physical Therapy Department, sent in care of Mercer Funeral Home, P.O. Box 270, Holton, KS 66436.